Milt Friedly, Director/Curator for the Susquehanna Center for the Creative Arts will exhibit his sculpture at Keystone Art and Culture Center, 420 Pearl Street, Lancaster, PA. September 2 -28 and to be extended thru October, 2016. 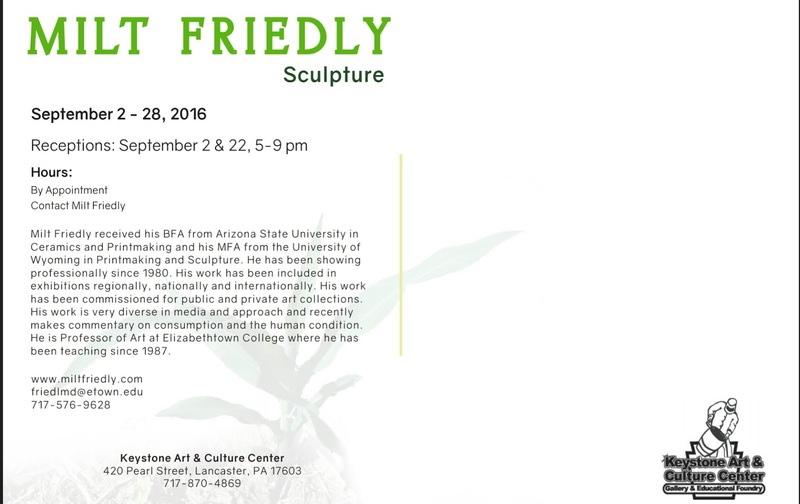 Public Receptions are scheduled for September 2 and September 22 from 5-9 p.m.
Gallery hours outside the reception dates are by appointment. Milt's sculptural works are crafted from traditional media, found objects and experimental media. His work investigates the dichotomy between nature and use of industrial materials and the effects consumption and time have on the human condition. Friedly makes personal and universal statements through use of common materials in uniquely crafted works of art. Some works are interactive, time based, which are completed by an audience. Some include live objects, water, sound and video. 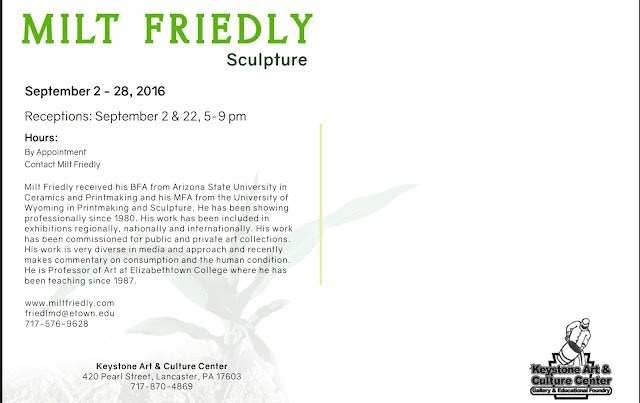 New works include: "Ali - Move like a butterfly, Sting like a Bee"; "Corn - Chip"; "Breathe in the Conestoga"; "Displacement"; "Remove Ashes Daily" and others. 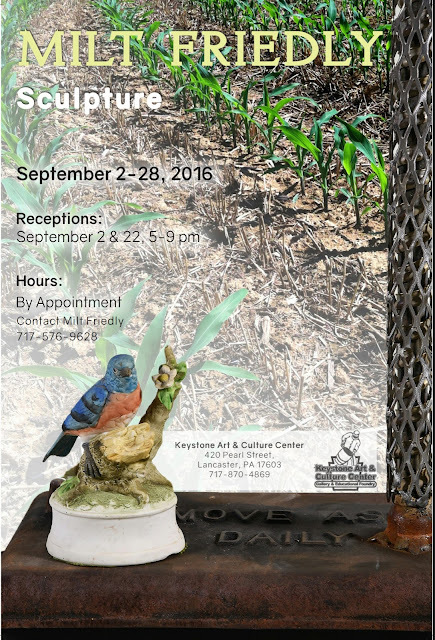 Special thanks to George Mummert, Director of Keystone for generously offering the space for this exhibition and to Martin's Potato Chips.